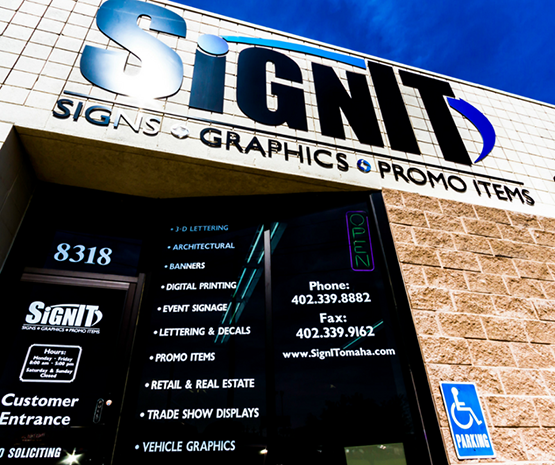 Creativity, quality design and exceptional customer service – it is the success trifecta at family-owned SignIT, a longtime provider of custom signage, banners, window lettering and promotional items in Greater Omaha. 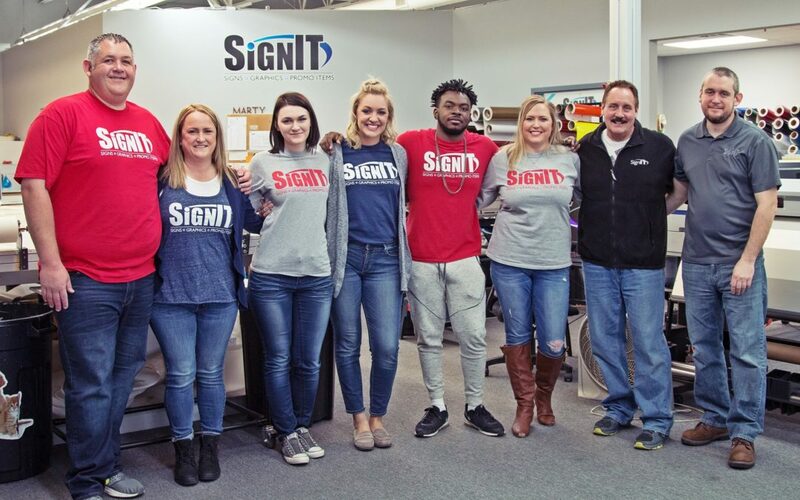 “What drives us is having a great, respectable and ethical business,” says SignIt’s Ashley O’Neal. Founded 21 years ago by Steve and Marianne Roarty, the couple’s two sons, Scott and Matt, now own and helm the nine-person operation (10 if you count Steve who’s retired but still pitches in as needed). Want to learn more about SignIT? Check out the company’s website. United Republic Bank is the sponsor of the Small Business of the Month award.